The Cricket Club by D.R. Horton is coming to the Lauderhill area of Broward County, just to the south of the Central Broward Regional Park and Stadium. The community will feature 2 story townhome floorplans ranging in size from 1446 square feet to 1476 square feet with 3 bedrooms and 3 bathrooms and 1 car garages. There will be family-friendly amenities on the property and the gated main entrance will provide extra security to the residents. The project will consist of 155 well-appointed townhomes. Cricket Club townhomes by DR Horton offers 2 models to chose from. 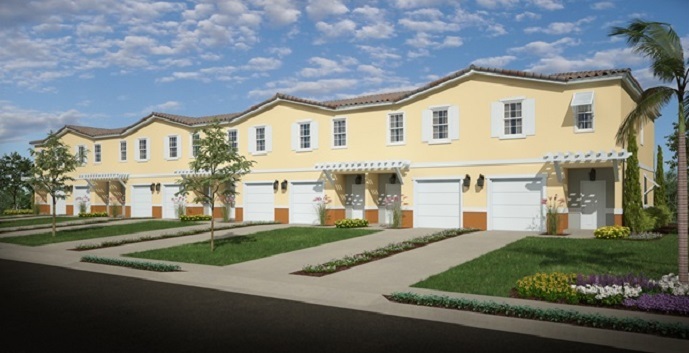 Beamer - 2 story townhomes with 3 bedrooms, 2 and 1/2 bathrooms, 1 car garage, great room and patio. Anchor - 2 story townhomes with 3 bedrooms, 2 and 1/2 bathrooms, 1 car garage, great room and patio.